As I write this, the folks at LastPass recently announced that they saw unexplained traffic on their network and could potentially have seen some of their internal data compromised. It's important to note that no user accounts have been hacked, and no unencrypted user account information has been compromised. However, to err on the side of caution, they are recommending that we all change our master passwords. Continue Reading: How do I change my LastPass master password? I regularly hear from people who've had their email or other online account compromised, are able to recover access to it, and change their password, only to have the account stolen again almost immediately. The problem is actually quite simple, but the solution is a bit of work. First, you have to realize that while someone else has access to your account, they have access to everything related to that account. As a result, changing your password just isn't enough. You need to do more. I reserved my Windows 10 update right after the icon appeared on my computer. After reading your article about it, I'd like to cancel my reservation. How do I do that? Many people jumped at the Windows 10 icon when it appeared, thinking they would get Windows 10 immediately. In reality, of course, it's only a reservation for a download that will occur when the product is released. Realizing this, and for a variety of other reasons, many people are electing to cancel the reservation and wait to get Windows 10 until sometime well after its release. How to cancel is not obvious, and there's a bit of trick. Continue Reading: How do I cancel my Windows 10 update? 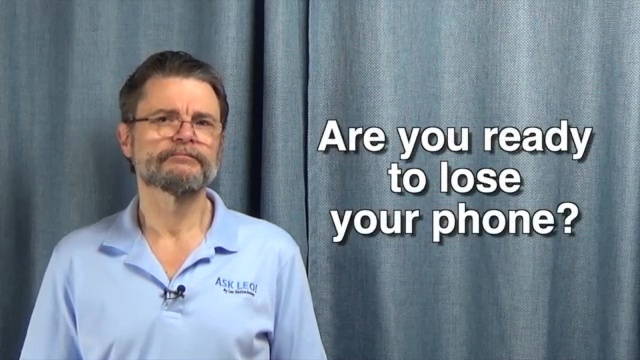 Are you ready to lose your phone? Continue Reading: Are you ready to lose your phone? How do YOU use your computer for FUN? The most common form of two-factor authentication adds something you have to the requirements – you must prove that you are in possession of something specific, something that is completely unique to you and of which there is only one. And why is so important to them to have your phone number,that they deny their services because you don`t want to give it to them? IMO: Their "agenda" is keeping your account secure. From past two years I have not used and now I want to open my hot mail account. Its telling could not recognise please help to recover my account. Two years is too long. It's probably been closed and cannot be recovered.